Android Leads The World SECURITY What January Security Update Really Fix?? What January Security Update Really Fix?? common question asked from Google plus, Facebook and other communities? what's the Difference or change after updating.? 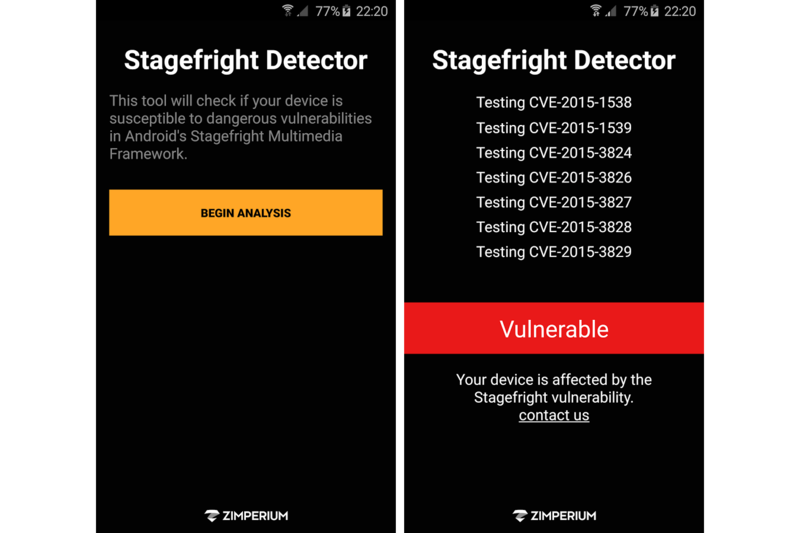 Here i am providing some basic information about Stagefright January risk on android operating system. The Common Vulnerability and Exposures ID (CVE), and their assessed severity. Theseverity assessment is based on the effect that exploiting the vulnerability would have on an affected device, assuming the platform and service mitigations are disabled for development purposes or if successfully bypassed. Remote Code Execution Vulnerability in MediaserverThis issue is rated as a Critical severity due to the possibility of remote code execution within the context of the mediaserver service. The mediaserver service has access to audio and video streams as well as access to privileges that third-party apps cannot normally access. This issue is rated as a Critical severity due to the possibility of a local permanent device compromise, in which case the device would possibly need to be repaired by re-flashing the operating system. Elevation of Privilege Vulnerability in the Imagination Technologies driverThis issue is rated as a Critical severity due to the possibility of a local permanent device compromise, in which case device would possibly need to be repaired by re-flashing the operating system. This issue is rated as High severity because it could be used to gain “dangerous” capabilities remotely, these permissions are accessible only to third-party applications installed locally. These issues are rated as High severity because they could also be used to gain elevated capabilities, such as Signature or SignatureOrSystem permissions privileges, which are not accessible to third-party applications. This issue is rated as Moderate severity because it could be used to improperly work around the factory reset protection. This issue is rated as Moderate severity because it could be used to gain “normal” capabilities remotely, these permissions are accessible only to third-party applications installed locally. This issue is rated as Moderate severity because it could be used to improperly gain “dangerous” permissions. This issue is rated as Moderate severity because it could be used to cause a local temporary denial of service that would possibly need to be fixed though a factory reset. Attack Surface Reduction for Nexus KernelsSysV IPC is not supported in any Android Kernel. We have removed this from the OS as it exposes additional attack surface that doesn’t add functionality to the system that could be exploited by malicious applications. Also, System V IPCs are not compliant with Android's application lifecycle because the allocated resources are not freeable by the memory manager leading to global kernel resource leakage. This change addresses issue such as CVE-2015-7613.